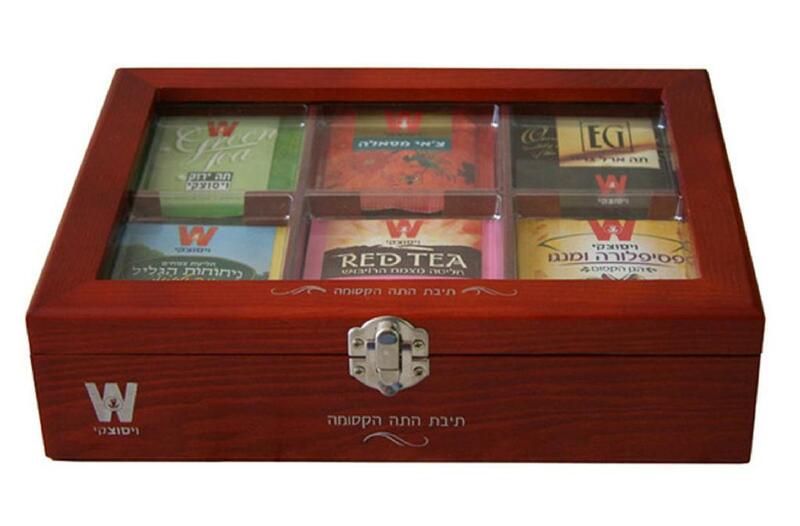 Here is a beautiful wooden tea gift box that is constructed with solid pine wood and made with great precision. Stained in a nice red stain throughout, this tea gift box features an acrylic window, so people can look inside. Once inside, you will see notches on each divider so everyone can select their tea easily. The size is 24x17.5x6cm. This box is very popular and a customer favorite. Extreme Enterprise is a first class manufacturer of high quality custom wooden tea bags gift boxes. We are committed to providing you with an excellent product that will exceed your expectations, excellent customer service and a guaranteed price that will beat all our competitors. Utilizing our skilled craftsmen, we pride ourselves in manufacturing the highest quality custom made boxes available in China.